A mouth wash with fluoride should be used upon recommendation by your dentist and is a great alternative to brushing and flossing after every meal. Dental sealants are a plastic coating placed on the back teeth, preventing bacteria from entering the tooth and developing a cavity. Since back teeth are used to chew food, the sealants are placed on the back teeth to seal off grooves that may collect food, plaque, and acid. Most public water has fluoride in it, preventing cavities and tooth decay. Frequently drinking soda can cause acid build-up on the teeth, increasing chance of cavity development. Drinking soda through a straw can help prevent cavities if you don’t let the straw touch the teeth. The best defense against cavities comes from not drinking soda at all. Visits to your family dentist for teeth cleanings and x-rays ever six months to one year helps prevent health problems that come from tooth decay and cavities. 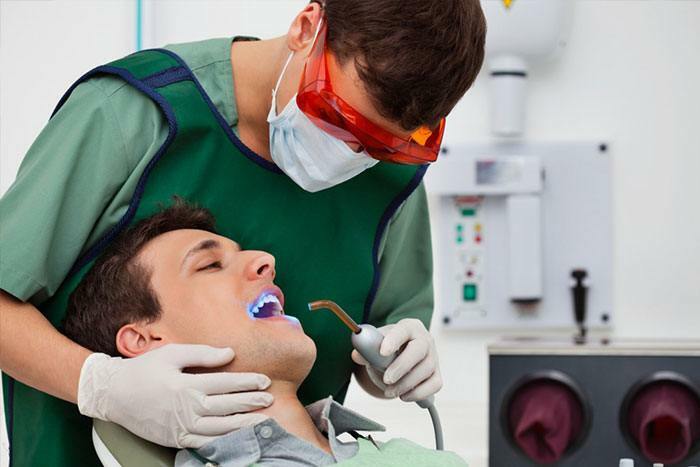 Regular dentist visits allow for proper oral care.